Gaiden Shinji, first Arena Blademaster and hero of the Thirty-Year Siege of Orsinium, doesn't make sense. Check the dates in the images below. 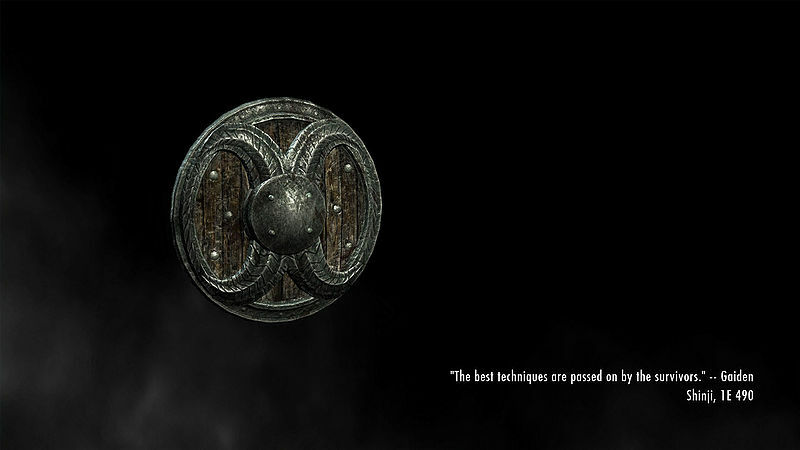 TES III: Morrowind first introduced Poison Song, a novella series taking place in 1E 675. The characters know of Gaiden Shinji and the Siege of Orsinium, which contradicts the many other sources which trace the siege, and thus Shinji, to circa 1E 950-980. Considering that we've been given three different dates for Shinji's Credo, and that a couple other related matters don't add up, I can't help but think this has been intentional. And that makes me suspect that this is a joke. Shinji's Credo may have become the developer's tongue-in-cheek way of saying that the details are subject to change, and that we're just going to have to accept that. Or maybe they're building up to something else? We're still learning more about Shinji in ESO. For all I know, some new quest deals with or will deal with the mysteries surrounding him. Be sure to read The Great Siege of Orsinium for a couple newer insights into Shinji's life. Next week: more timeline problems. Dragon Break. Time has fractured at least once ("Where were you when the Dragon Broke") or a big chunk of history has been re-written for political purposes or due to translation errors ("Dragon Break Re-Examined"). 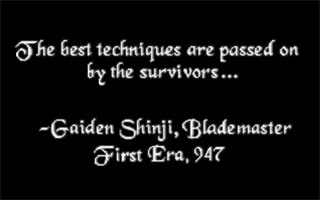 If Gaiden existed at all, his quote could have multiple dates due to the imperfect reordering of time post Dragon Break, or due to intentional distortion.